The reality is that dramatic political change now sweeping the Arab world would eventually facilitate the execution of Israel’s war agenda against the Arabs, as well as against Pakistan and Iran. Islamic scholarship must thread very carefully when responding to urgent and insistent Muslim requests for an explanatory response to the current Arab uprisings. The events now mysteriously unfolding in the Arab world have taken most of mankind by surprise, while raising legitimate questions concerning implications for Israel of what appears as a complete change in the strategic environment in which the Euro-Jewish State is located. Care is needed while writing on this subject since the appearance that Israel’s strategic environment is changing in a manner that poses a very grave threat to the Euro-Jewish State conceals a reality that is quite otherwise. There is certainly more to the uprisings than meet the eye – but at this time we have no need to attempt to expose the maneuvering of hidden hands since the crusading western media has already recklessly and brazenly exposed what many had already suspected. In addition, many Muslims are slowly realizing the sinister role that western Riba has played in reducing the masses in Egypt, Pakistan, Indonesia, Bangladesh, Haiti and elsewhere to biting poverty. That biting poverty certainly played a role in bringing so many Arabs onto the streets. Rather we must hasten to pay tribute to those courageous Tunisian and Egyptian people who gave a spectacular demonstration to the rest of mankind of what a united people can achieve when courageously confronting even the most ruthless of oppressors. We must also seize this opportunity to plead for an end to sectarian strife within the Muslim world while raising instead, and as high as possible, the standard of united Muslim resistance to Israeli oppression. We are painfully aware that millions (Arabs in particular) will die before we succeed in putting an end to that oppression. Even so, we must not falter in our resolve to fulfill the mission which was given to this Ummah of standing up for what is right and just, and standing up against what is wrong and unjust (amr bil m‘arūf and nahi ‘an al-munkar) regardless of the price we will surely have to pay. This essay, written in the enchanting Venezuelan city of Caracas, attempts to provide an Islamic explanation of the uprisings by focusing, I believe quite rightly so, on how Israel and her Judeo-Christian Zionist supporters are likely to respond. Muslims already know from their scriptures that the divinely-ordained destruction of Dajjāl the false Messiah, and of his foot-soldiers Gog and Magog, will seal the fate of the imposter State of Israel; and they also know from their scriptures that only the true Messiah can kill the false Messiah, and that only Allah Most High can destroy Gog and Magog. Hence Arab Muslims in particular know that until such time when Jesus the son of the Virgin Mary (peace and blessings of Allah Most High be upon them both) returns to this world, they must brace themselves for even more oppression than they have already experienced. Their supreme oppressors are a so-called ‘chosen people’ who desperately want to rule the whole world (and that of course includes nuclear-armed Russia and China). Their present very visible oppressors are those who now rule the world on Israel’s behalf. When Abraham (‘alaihi al-Salām) saw himself in a dream/vision sacrificing his son Ishmael (‘alaihi al-Salām) the divine wisdom revealed an end of history which would witness precisely that sacrifice of Ishmael’s seed, the Arabs. The present Arab uprisings appear to be preparatory to that momentous pre-ordained sacrifice. But the Muslim who stands up against the oppressor is never afraid to die. Let us hasten to explain, if the gentle reader did not already know it, that Israel wants ‘by hook or satanic crook’ to establish her messianic rule over the whole world, including the Arab world which surrounds Israel on all sides, so that a false Messiah can make a fraudulent claim from occupied Jerusalem to be the divinely-promised Messiah. We explained in ‘Jerusalem in the Qur’ān’ (published in 2002) Prophet Muhammad’s prophecy that the false Messiah would live on earth for 40 days (i.e., after his release from his chains) in which “one day would be like a year, one day would be like a month, one day would be like a week, and all (the rest of) his days would be like your days.” (Sahih Muslim). Our analysis revealed that Dajjāl’s “day like a year” resulted in the emergence of a Pax Britanica in which Britain became the first of three messianic ruling-States. Similarly his “day like a month” gave to the world a Pax Americana in which USA became the second messianic ruling-State. We concluded that the historical process was now poised at that moment in time when a “day like a week” would soon deliver a Pax Judaica in which the imposter State of Israel would attempt to become the third and last messianic ruling-State. In much the same way that both Britain and USA had to become the financial capitals of the world with the fraudulent Sterling pound and the equally fraudulent US dollar functioning as the respective international currencies, we argued that Israel would have to assume overt control over money in a new cashless international monetary system of fraudulent electronic money that would be created and managed by a Zionist-controlled international banking system. So-called Islamic banks would unwittingly play a coyly supportive role of that manifestly fraudulent monetary system. I know of no so-called Islamic Bank anywhere in the world which has displayed even elementary integrity in struggling for the restoration of the Gold Dinār and Silver Dirham as money. Finally we argued that in much the same way that both Britain and USA had to wage great wars which killed millions, in order to impose their unchallengeable military power in the world, so too would Israel have to wage great wars which will kill even more millions (mostly Arabs) before it can lay claim to rule the world. Also, Israel cannot make a convincing claim to represent the Holy Israel of David and Solomon (peace and blessings of Allah Most High be upon them both) unless the territory of the State were to expand even further to encompass the frontiers of Holy Israel as (falsely) depicted in the Torah, i.e., “from the River of Egypt to the River Euphrates.” Israel will have to raise the bar of oppression against the Arabs even higher if that territorial expansion is ever to be achieved. We pointed out in a lecture entitled ‘Beyond September 11th – What the Future Holds for Muslims’ which we delivered in Sydney in 2002, that Pakistan’s nuclear weapons and nuclear plants, as well as Iran’s potential capacity of entering the nuclear club present formidable obstacles which will have to be eliminated before Israel can wage those wars. We did not at that time recognize that the hostile Arab population in and around Israel also constitute a formidable obstacle that would also have to be eliminated. The Arab uprisings (regardless of whether they were entirely spontaneous or not) which are the subject of this essay, appear to offer to Israel, suspiciously so, precisely the opportunity she needs to wage war on the Arabs and to attempt to eventually decimate the population of the Arab world while posturing herself to be in pursuit of the morally justifiable goal of self-preservation. The western-supported dictatorships of Hosni Mubarak in Egypt and Ben Ali in Tunisia have yielded to the uprisings by disposing of their hated leaders, and it seems quite likely that the heads of other clients in Saudi Arabia, Yemen, Jordan, Libya etc., who either have long-standing service to their credit, or have recently been forced to bend their knees in servitude, may still roll before the dust settles. When a regime such as that in Libya resists the uprising, the western world shamelessly intervenes to ensure that more than just a Libyan head would roll. The Arab uprisings have targeted not only dictators in pro-western client regimes but also those who are not overtly clients of the West. The uprisings therefore appear to be pan-Arab, and promises to restore to the Arabs a new dawn of freedom to choose their own rulers. We must of course wait to see if that promise will be kept. Let us emphasize once again that it is not really important for Muslim analysts to enquire whether these uprising were stage-managed to facilitate any hidden agenda, – there is nothing hidden about the western desperation to bring down the Libyan regime. Rather it is far more important to recognize that many oppressed Arabs in Egypt and Tunisia in particular have demonstrated their right to rise up against oppressors and to seek liberation from oppression. Since Israel is the greatest oppressor of all it is not difficult for us to anticipate that the new-found political freedom may result in the emergence of governments pursuing political policies that would be pro-Palestinian and anti-Israel. Already the chants from the Arab streets declare their readiness to march to Al-Quds (Jerusalem). Such dramatic political change in Israel’s strategic environment would certainly appear to be detrimental to Israel’s security and even survival. In fact I suspect that it is only a matter of time before the western media begins the next phase of its news crusade (i.e., when it takes a break from supporting the uprisings) of portraying the Arab uprisings to constitute the greatest of all threats to Israel’s very survival. The gentle reader should not be surprised to know however, that appearance and reality in this matter differ substantially from each other. Israel and her Judeo-Christian Zionist supporters are delighted by, and are actively supporting the Arab uprisings that have already occurred, and are anxiously awaiting the fall of other heads as well. The reader would naturally wonder why Israel would be happy to see the heads of pro-western Egyptian and Tunisian regimes rolling and be anxiously awaiting a similar fate in a Saudi regime that Wikileaks recently exposed as ready to allow Israeli warplanes passage through Saudi airspace to attack Iran? Indeed why would Wikileaks so maliciously expose the Saudis and the Palestinian regime headed by Mahmoud Abbas as to dangerously undermine their very capacity to survive? The Egyptian Armed Forces that responded to the Egyptian uprising in a suspiciously docile way can now be expected to hold suspiciously free and fair elections that would predictably pave the way for the Islamic Movement in Egypt to win power to rule over the country. If that were to happen, then it should not be difficult for events to eventually move in a direction that would allow Israel to claim that Egypt is supporting Hamas so-called terrorism against the Jewish State. Another carefully calculated horrendously brutal Israeli retaliatory strike against the hostile Arab population of Gaza can then well result in the exodus of all Gazans to an Egypt that would not be able to prevent their entry into that country. If we were to globalize this same scenario in a pan-Arab context we can anticipate Israel orchestrating a propaganda offensive to convince the world that the Arabs are now poised (as a result of uprisings which Israel and her western allies encouraged and supported) to threaten the very existence of the Euro-Jewish State. This would then be used to justify wars through which Israel would attempt to realize such an expansion of her territory as would encompass the (false) Biblical frontiers of the Holy Land. If Israel succeeds in waging such wars, and in then imposing her will on decimated or exported Arabs, she would have made significant progress towards realizing her blood-stained goal of ruling the world. The LORD said to me, “From the north disaster will be poured out on all who live in the land (i.e., the Holy Land). 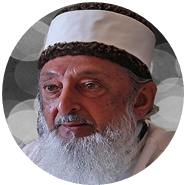 In my book entitled ‘An Islamic View of Gog and Magog in the Modern World’ (see my website www.imranhosein.org) I have identified a Russian-led alliance with Magog of the Qur’an. The Judeo-Christian Zionists who now rule the world from London, Washington and Jerusalem are quite aware of this massive attack that will come from the north, and this explains the incremental NATO encirclement of Russia. Despite this, they are preparing to hoodwink mankind by portraying the popular uprisings in Muslim Egypt, Tunisia, Libya, Yemen and elsewhere in the Arab part of the world of Islam as potentially the greatest of all threats to Israel, sufficiently grave to eventually justify massive so-called preemptive wars by Israel. وَتَرَكْنَا بَعْضَهُمْ يَوْمَئِذٍ يَمُوجُ فِي بَعْضٍ وَنُفِخَ فِي الصُّورِ فَجَمَعْنَاهُمْ جَمْعًا. “And on that day We shall cause them to surge like waves (that dash) against one another; and the trumpet (heralding the destruction of the imposter State of Israel) will be blown, and We shall gather them all together (to perish in that final divinely-ordained punishment). The mighty Gog/Magog nuclear-war cataclysm in which most of mankind will perish is perhaps referred to in Judeo/Christian eschatology as the Battle of Armageddon. The nuclear mushroom clouds that will envelop the earth are perhaps the Dukhān (smoke) that was prophesied as one of the Signs of the Last Day (see essay on my website entitled “Ten Major Signs of the Last day – Has One just occurred”?). This essay identifies the imposter State of Israel and all its supporters with those whose plans will be countered by Divine plans; and it is in that context that we sought in this essay to anticipate possible Israeli responses to the dramatic popular Arab uprisings. The reader should not make the mistake of concluding from this prophecy that the Prophet is referring to all Jews. Rather he is referring to only those Jews who are oppressors and who have to be punished for their oppression. There are Jews in the world today who oppose and denounce Israeli injustice and oppression while actively sympathizing with and supporting the struggle for liberation from that injustice and oppression. Such Jews, as well as all the rest of mankind who oppose oppression, are potential allies of those Arab Muslims whose uprisings succeeded in removing Hosni Mubarak and Ben Ali from leadership of Egypt and Tunisia. We salute them for the courage with which they opposed the oppressor. There are many Muslims in USA, Canada, UK, Europe, Australia, Singapore and even in my native Caribbean island of Trinidad who should now summon the courage and integrity to follow that example of standing up against both the oppressor, as well as against those who support the oppressor. It is quite possible that we may have to wait for a few years before Israel`s great wars against the Arabs begin. In the interim it is certain that Dajjāl the false Messiah will work overtime to exploit the new opportunities created by the uprisings to try to demolish whatever now remains of Islam in the lives of the Arab masses. One can just imagine how the new freedom can soon become a secular freedom in which all would be permissible. Not only would ‘women dress and yet be naked’ but eventually the ‘day would mate with the day’ and the ‘night would mate with the night’. The result would be the complete seduction of the cities of the Arab world into the godless global society. There is also the distinct possibility of Islamic political parties assuming power in government and then losing credibility when they fail to bring relief to the miserably poor masses because of an incapacity to respond to the awesome challenge of Riba. One need not even mention the immense difficulties that would attend any effort to restore the universal Islamic Khilafah. What should Muslims do at this time? Surah al-Kahf also advises withdrawal from the godless society. This can perhaps be best achieved through residence in small Muslim Villages in the countryside rather than the cities of the modern world. Such villages can have village markets which use Dinārs and Dirhams as money for buying and selling. We should in addition recite Surah al-Kahf on every day of Jumu‘ah without fail and also regularly recite the Masnoon Duah for protection from Dajjāl’s Fitnah. We intend to write in greater detail Insha Allah, at a later time.